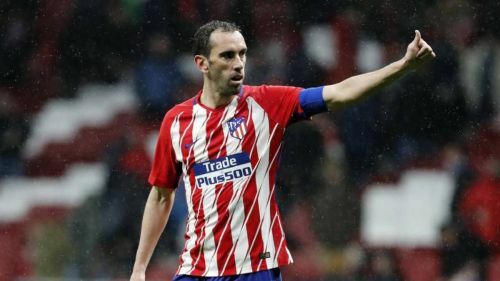 Diego Godin has been the lynchpin of the Atletico Madrid defence ever since he transferred from Villareal in 2010. His return to the team was expected to strengthen the defence of Atletico but he looked out of touch and had very little involvement in the proceedings. Even during set pieces, he unusually looked off colour and Atletico relied a lot on Gimenez whenever Real Madrid attacked. His battle with Vinicius Junior on the left flank was enticing. The youngster beat him comfortably during the first one on one duel but the veteran refused to give up and prevented Vinicius from cutting in from the left wing. But that was his only contribution on a difficult night for the Atletico Madrid defence, as he was lost on the pitch during the second half. The substitute Gareth Bale easily scored from a position which should have been guarded by Godin. The injury-enforced break has affected his rhythm, and he will be looking to improve his performance in the next game.